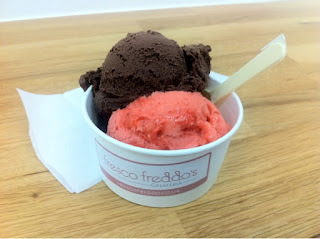 This week, despite the autumn chill, we decided to take a trip to Fresco Freddo's, Manchester's brand new gelato house for a cool twist on dessert. Laura: I find pretty things in pastel colours hard to resist at the best of times but when they're paired with waffles, pancakes and coffee - it's pretty much a given I'm going to indulge. The space is very cute and simple with a small bench area for customers to sit inside if they wish. Cool modern dining with optional al fresco seating too - just remember to bring your coat! 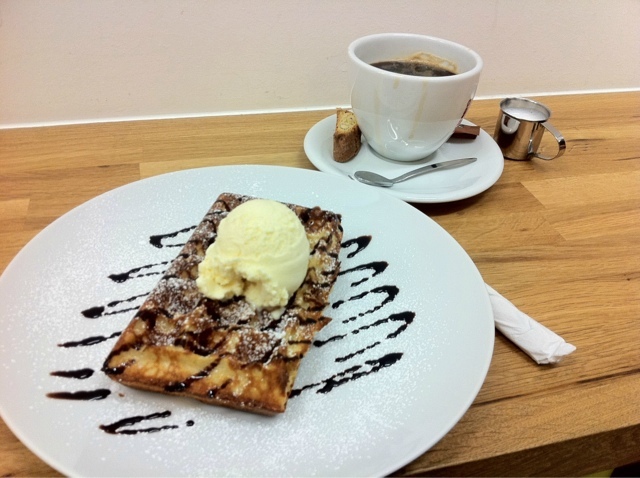 Caroline: It's only small, but Fresco Freddo's cafe is the ideal space to enjoy a coffee and gelato on a warm summer's (or cold winter's) evening. Their smart and simple benches, offer a sleek practicality, whilst their choice of music provides a comfortable informality which is pretty much everything you can ask of a shop like this! Laura: We've been here twice already so it's safe to say we're fans. I tried the cookie dough gelato on ourfirst visit and had a fabulous banana and nutella crepe on the second occassion. 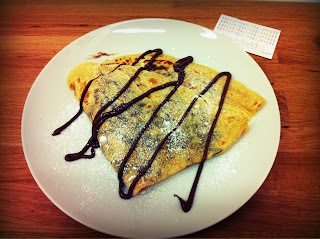 Those lovely warm crepes have certainly got me looking forward to Christmas! Caroline: We love this place, we really do - everything is just so yummy. The first time we went, I tried their Strawberry and Chocolate gelato which was molto delizioso, and the second I opted for waffles. Freddo's gelato is seriously the best that I've had outside of Italy and their waffles, well what can I say? They're amazing - I'm off to Belgium soon so I'll let you know how they fare! 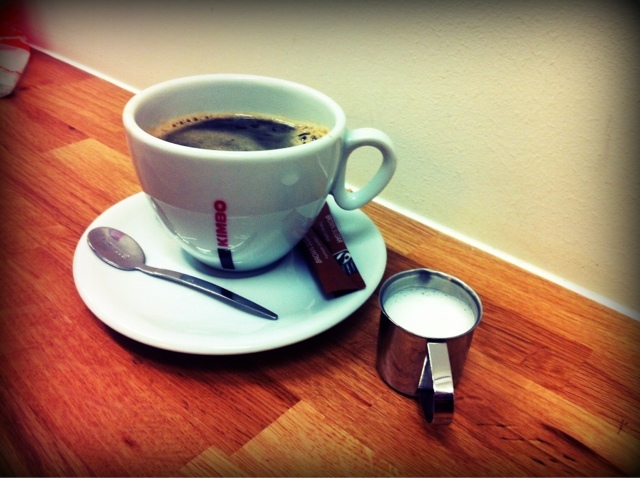 Laura: Lovely staff - stamped my loyalty card for just a cup of coffee which was very much appreciated. Polite, helpful and friendly. Caroline: The service is great, very friendly and accommodating staff. Also the addition of table service for in door diners is an unexpected but very welcome plus! Laura: Extra points should be awarded for the lovely member of staff on our first visit who gave me a free slice of wonderful orange cake with my cup of coffee. I think we've found our new hangout! Caroline: I can't wait to go back here and enjoy some more of their delicious gelato - If you're in the Oxford Road area of Manchester, pay them a visit!